The UK 2070 Commission – an independent inquiry into the UK’s regional inequalities – was today (9 October 2018) launched at a reception in the House of Lords, with Commission chairman Lord Kerslake also opening the Commission’s Call For Evidence with submissions from all interested individuals parties welcome before the deadline of Friday 16 November. The Commission will examine the nature of inequalities across the regions and nations of the UK, explore the costs and consequences, identify underlying causes, and make recommendations for new policies to tackle the problems of poorer places, whilst supporting the sustainable growth of successful places. The Commission’s membership includes academics from five universities and the USA’s Lincoln Institute for Land Policy (Cambridge, MA), as well representatives from the Confederation of British Industry, Core Cities, Institute for Public Policy Research North, National Institute of Economic and Social Research, the North West Business Leadership Team, West Midlands Combined Authority, and the consultancies AECOM and Barton Willmore. They will be supported by a research partnership involving the University of Sheffield, the University of Manchester, University College London, the University of Liverpool and the University of Cambridge, along with additional support from the Sir Hugh and Lady Sykes Charitable Trust, the Heseltine Institute at the University of Liverpool, the University of Cambridge and the RSA. “There will always be differences between places, but Britain has some of the most extreme regional disparities in the developed world – these impose great costs on society, and handicap our economic performance and productivity,” said former Head of the Civil Service, Lord Kerslake. He added: “Expert commentators often assume that they know what the problems are, and that it’s just the political will to fix them that we’re missing. This may be the case, but it may not, so through the work of the UK 2070 Commission we’re seeking to go beyond tired ideas of ‘north vs south’ or ‘London vs the rest’ to truly understand the nature of the UK’s persistent regional inequalities and what can be done about it. The Commission will carry out its work over the next 12 months, delivering a final report in January 2020. 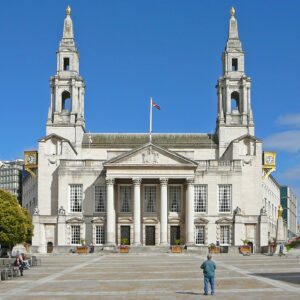 Judith Blake, Leader of Leeds City Council and Chair of Core Cities, said: “In part the problems are caused by historic factors, but we need to find out whether they are also shaped by government decisions which have not been thought through.